Sitting here on a sunny Bank Holiday Monday looking through some of the items for the blog I’m constantly amazed at how vibrant the new contemporary art scene is in Manchester. It’s impossible for BeesBlogs to cover everything that’s going on and I think it’s a great compliment to Manchester and the North West that a new magazine, Visceral, has chosen to launch across our region. 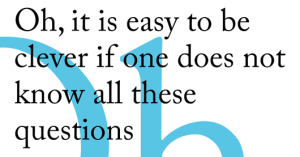 In print and on line…..and free, I wish them well. Speaking of arts prizes PS Mirabel are calling for submissions to its 2018 Open Exhibition. Scroll down for details! So take a look below to see what new contemporary art exhibitions are launching in the next week or two. And don’t forget the One Woman Show! Boredom is, despite the name, rather interesting. It’s a state of mind we generally seek to avoid. That feeling of listlessness, a lack of all stimulation. But within that empty brain space, mysterious intrigue festers, and things begin to gestate. 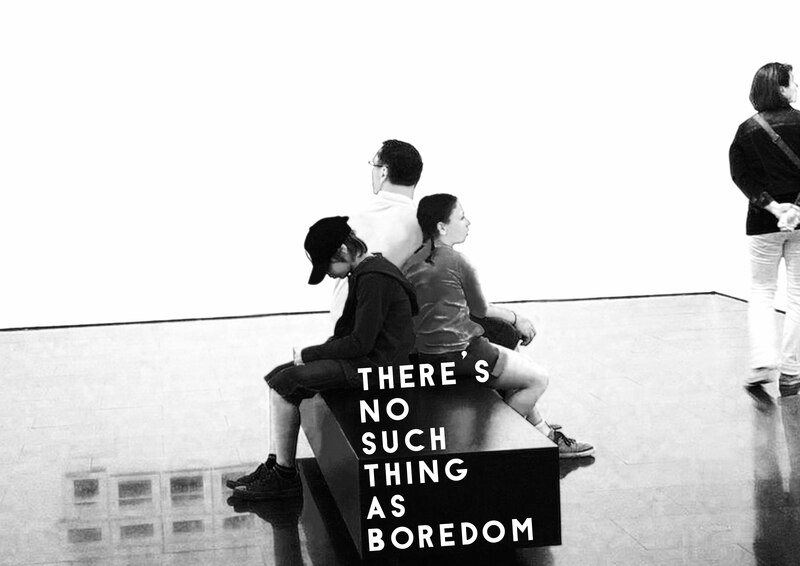 Thinking about boredom is the perfect way to escape boredom, and being bored is an ideal way to escape thoughtlessness. Scaffold presents, a group show featuring a selection of new works responding to the intentionally antagonistic and possibly ludicrous statement surrounding the existence of the minds most mysterious and ephemeral state. With guest curators Pavel Büchler (Manchester, UK) and Mariana Serranová (Prague, CZ). Büchler and Serranová are working with Castlefield Gallery and DOX Centre for Contemporary Art (Prague, CZ), to deliver an exhibition in two parallel parts, bringing together a number of early career artists from the two cities. The aim is to initiate a dialogue among practices that are developing within an emerging generation in two distinct cultural environments and artistic traditions. 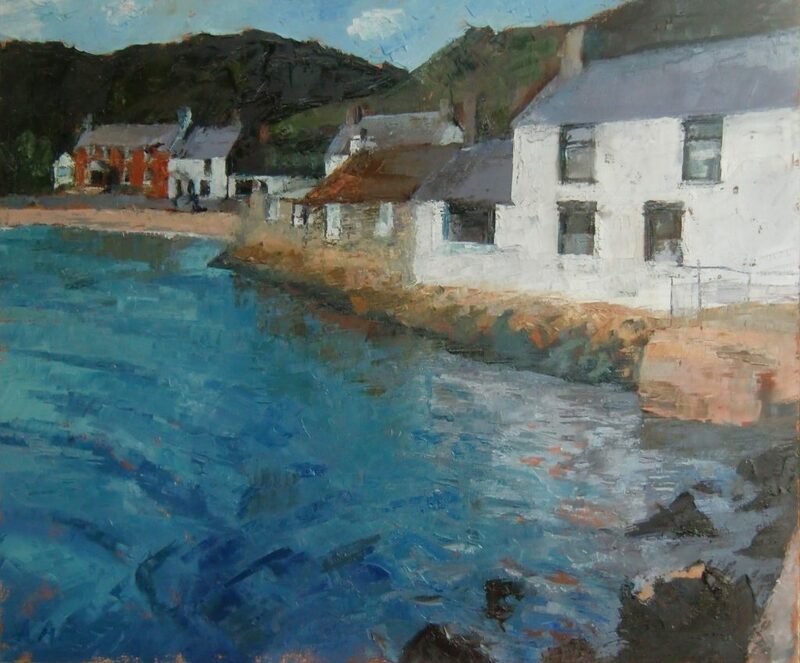 When Manchester-born artist Anne Aspinall used to visit her aunt in Harlech as a child, she didn’t realise that one day she would become widely known for her oil paintings of the coastal North Wales landscape. 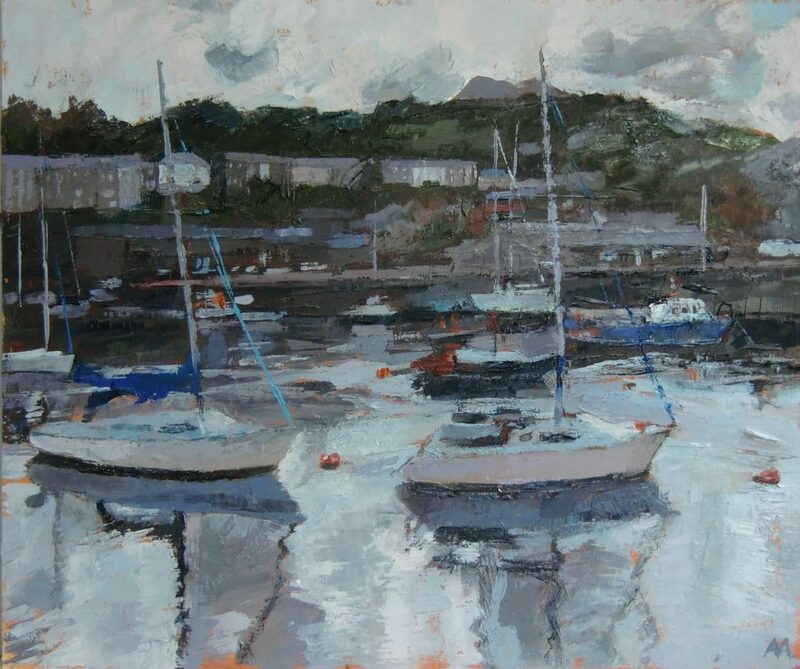 After 50 years as an artist, working across different media and subject matters, Anne is continually drawn back to this beautiful part of the country to capture the majesty of the landscape and scenery. A Welsh Connection, celebrates the strong affinity that people from the North West have with North Wales. 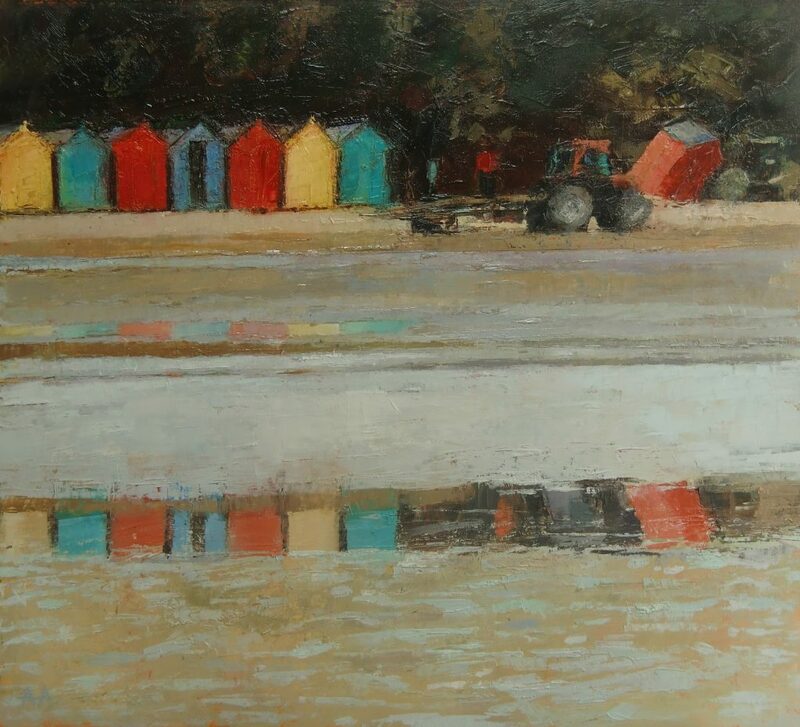 The exhibition of 35 paintings, capturing coastlines and harbours, illustrates Anne’s skill in depicting reflections, light, and movement. 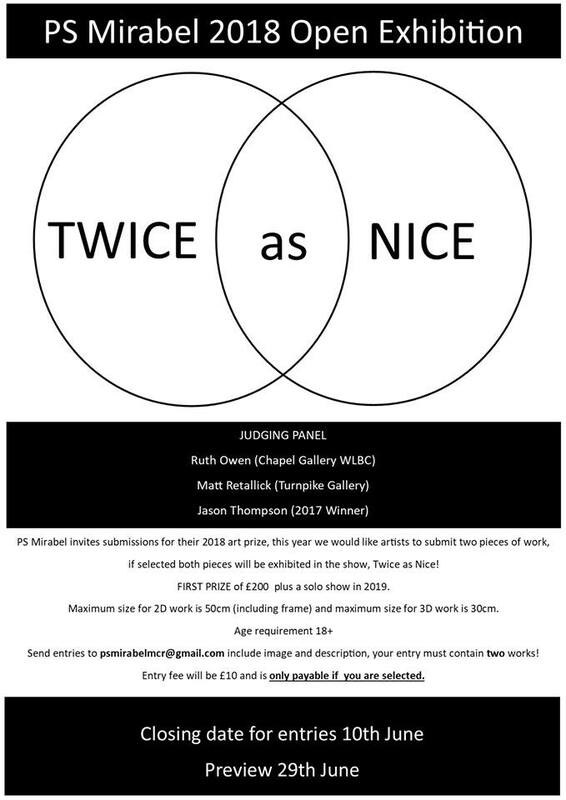 This year we would like artists to submit two pieces of work, if selected both pieces will be exhibited in the show, Twice as Nice! FIRST PRIZE of £200 plus a solo show in 2019. Maximum size for 2D work is 50cm (including frame) and maximum size for 3D work is 30cm. Send entries to psmirabelmcr@gmail.com include image and description, your entry must contain two works! Entry fee will be £10 and is only payable if you are selected.